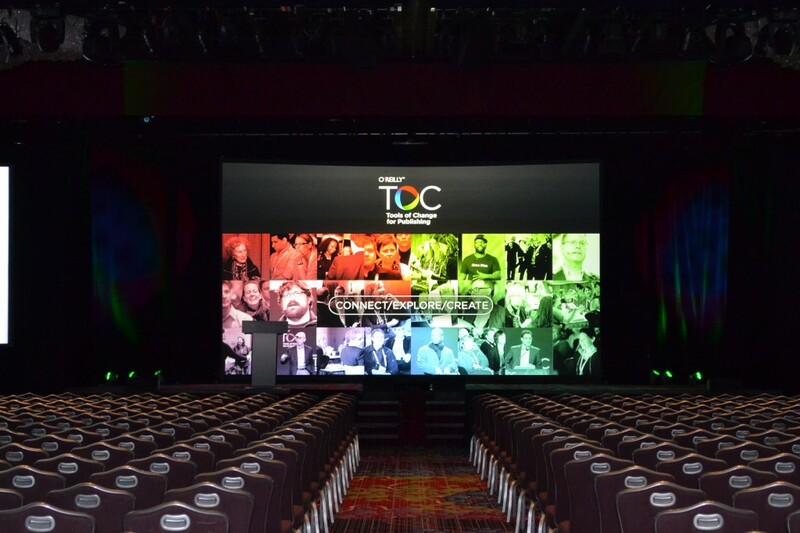 As this year’s eagerly awaited TOC got underway in New York, a number of industry leaders took to the stage to launch the conference with the morning’s first keynotes. Making an appearance for the first time in several years was Tim O’Reilly of O’Reilly Media, who brought attendees up to speed on how the print market and ebook market are faring, essentially putting to rest any concerns that might still be lingering about the future of books. O’Reilly shared some very interesting anecdotal information on one particular title, The Fault in Our Stars by author John Green. O’Reilly posted the data for book reviews for Green’s title, showing that the title had nearly ten times as many ratings on popular book discovery site Goodreads as it did on Amazon. This is actually a powerful testimony to the fact that books are still vital to readers and that it isn’t necessarily the book retailers who are driving book discovery. Intel Corp’s Brian David Johnson spoke immediately after about how to change the future, offering up very intriguing statements about helping people to envision the future that they want to happen, a feat which can be accomplished by how we publish genres like steampunk and science fiction today. Inkling’s Matt MacInnis followed with a brief demo of the newly launched Inkling Habitat platform, likening it not to just another ebook platform but more as a way to put creative control in as many individuals’ hands as possible. All of the presenters were in line with an underlying theme of all TOC events, which is to take a proactive look ahead to the future of the book and the power of publishers to enact a future that we want to experience.